Can You Eat Corn on Whole30? No. Corn (even fresh or cooked corn) is still a grain, and no grains are allowed on Whole30! But why? Well, there is quite a laundry list against corn. For one, corn pushes better veggies off of people’s plates – veggies like spinach, kale, or broccoli are much more nutrient-packed than corn. Corn allergies are also relatively common – or if not allergies, at least corn intolerance. The vast majority of corn is also genetically modified – another point against it. Corn’s story is a somewhat tragic one, but it’s a familiar tale into today’s nutritional landscape. You see, America was once filled with corn featuring an assortment of colors, from red and green to blue and black. 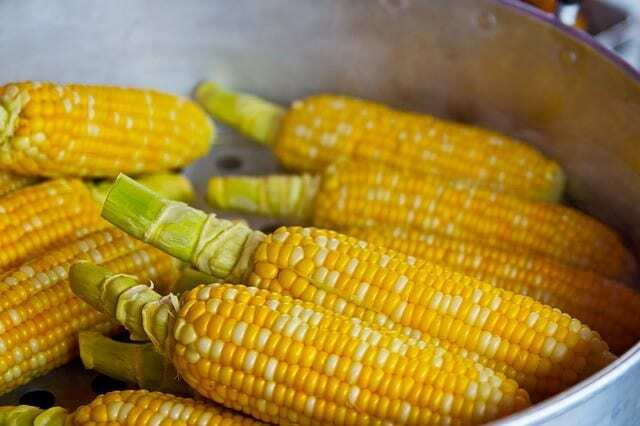 These colored corns were actually very rich in anthocyanins – which can be powerful combatants against . cancer, inflammation, and other diseases. Unfortunately, these super healthy colored corns weren’t nearly as sweet and tasty as yellow corn. Food scientists eventually bred that favored yellow corn into the ultra-sweet white (or pale yellow) corn we know today. This is why our sweet white corn remains today, and that anthocyanin-packed corn has vanished from our tables. In short, there are so many better veggies out there – don’t be too sad about saying goodbye to corn for a while.